That’s because the cable landings served as a pitstop, from which fiber routes carry the data to Manhattan carrier hotels like 60 Hudson Street, 111 8th Avenue and 32 Avenue of the Americas. These highly-connected buildings provide access to dozens and even hundreds of networks to move data wherever it needs to go. NJFX and 1025Connect are among a new breed of service provider seeking to build interconnection ecosystems at the cable landings, offering a way around the more expensive “toll gates” of Manhattan. As content providers and cloud companies seek new ways to move data around the world, it is creating new market niches for colocation and interconnection specialists. Similar projects are underway in Virginia Beach, Boca Raton in Florida and Moncton, New Brunswick. To support its growth, 1025 Old Country Road (1025 OCR), which owns and operates the 1025Connect data center, recently closed a $14 million credit line to fund infrastructure improvements at the 200,000 square foot facility in Westbury. The infrastructure upgrades will support the growth of multiple network operators already in the facility, including transatlantic subsea cable systems, metro and regional dark fiber and transport networks. It will lay the groundwork for new North American, European and Latin American networks coming to the facility. At the moment, these cable landing colocation operations are in the early growth phase. The Crosslake connection is not scheduled for completion until June 2019. Adding cable operators and interconnection providers (like DE-CIX, which now has a site at 1025Connect) builds the critical mass to offer meaningful savings to customers. NJFX is the largest and most ambitious of those projects. It’s a 64,000 square foot Tier III data center built next to a cable landing station operated by Tata Communications. The facility is about a mile from the ocean, and with 10 megawatts of power capacity, and could support as many as 1,000 customers. NJFX recently announced plans to buy an adjacent 48-acre property in Wall, which will be the site of a second data center. 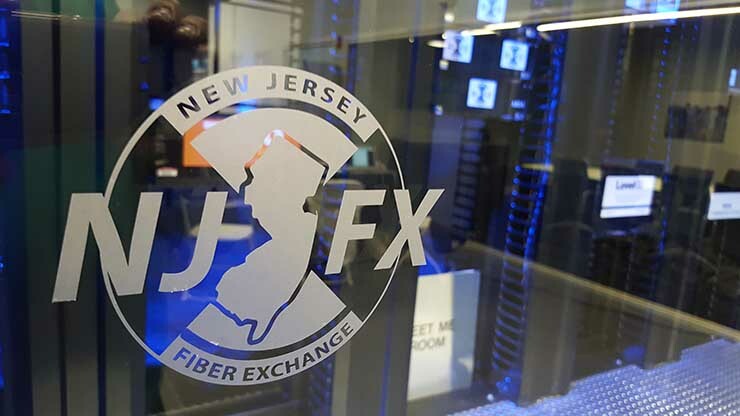 NJFX was created by Gil Santaliz, a telecom veteran who was previously the CEO and founder of 4Connections, a metro fiber network provider that was acquired in 2008 by Optimum Lightpath. He believes cable landings are an emerging focus for companies seeking to move oceans of data, and can play an important role in regional resiliency. Crosslake’s first project was a fiber line under Lake Ontario connecting Buffalo and Toronto. The company says the Wall to Long Island project continues Crosslake’s model of developing niche submarine cable systems. “Our Lake Ontario build is progressing at full speed and has really validated our approach to developing smaller systems,” comments Cunningham.